Lily Wares was 9 years old and desperate to raise much needed funds for a life changing operation that would mean her little brother, Lewis, could walk. And now she is on a mission to help even more children. The song “Happy Birthday JC” is available now to download from iTunes and Amazon. As one reviewer says “This little tune is not only catchy, the story behind it tugs the heart strings. … It’s a good cause, get behind it for Christmas, who knows it could be a hit”. Lily Wares, from Towcester in Northants, was desperate to raise funds for a life-changing operation that would enable her 5 year old brother Lewis to walk. After watching the movie ‘About A Boy’ in which Hugh Grant’s character is able to live off the proceeds of his father’s one-hit Christmas Song, Lily saw a way to help. All she needed was a Christmas song! Lily started by enlisting the help of her Grandad, Stewart Blandamer. Stewart, is a songwriter who has had hits with Peter Frampton, Bonnie Tyler and Tom Jones among others. Lily encouraged Stewart to help pen the song. From that point the project snowballed! The producer Keith Bessey (10cc, Cliff Richard and many others) heard the song and was keen to get involved. With the help of the Aspire Arts Academy, the team produced an amazing song. 80s icons, Paul Young and Tony Hadley, also gave their support by adding vocals to the track. Lily’s Christmas song ‘Happy Birthday JC’ became a local hit! 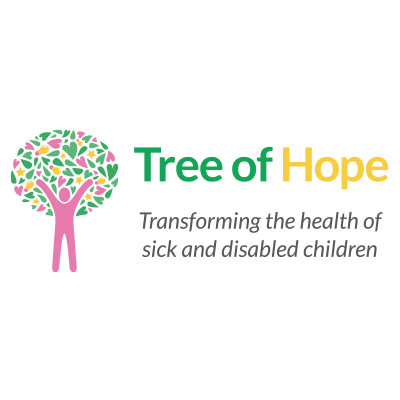 It helped raise funds for the Tree of Hope who were helping with the fundraising for her little brother Lewis’s Selective Dorsal Rhizotomy operation. That was two years ago. Lewis had the SDR operation which was a great success and can now walk. His quality of life has improved tremendously. Lily is determined to help other children walk too! Her Christmas song ‘Happy Birthday JC’ is being re-released for this Christmas to raise funds for Tree of Hope to allow more children to access the life changing SDR treatment. How Can You Help Other Children Walk Too? The song “Happy Birthday JC” is available now to download from iTunes and Amazon. Every penny of your download will go towards supporting sick and disabled children who need SDR to improve the quality of their lives.